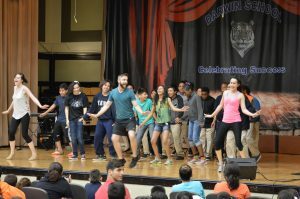 The School at Porchlight is a comprehensive exercise and educational environment where youth, working professionals and music theatre enthusiasts can create, practice, perform and appreciate the unique music theatre art form. The School offers classes in several disciplines including performing, writing and scholarship. NOTE: For the most up-to-date information on class cancellations or changes, please visit our Facebook Page. For additional information, contact michelle@porchlightmusictheatre.org. Classes & Workshops Follow The School at Porchlight on Facebook! Youth Musical Theatre Intensive: Our “Make Your Own Musical” Program returns for the Fall! Free parking is available on the street or in the adjacent parking lot. By public transportation, take the #76 bus and exit at the Tripp St. stop. Youth classes and camps are held in a variety of locations. Visit the individual pages for more information. Educational programs are a vital part of Porchlight Music Theatre’s mission. Advanced Training classes at The School offer actors and enthusiasts alike an opportunity to hone their talents under the tutelage of local theatre professionals. Check Out Our Current and Upcoming Classes! Purchase a 10 Class Membership Card for Just $100! With a 10 class membership card to The School at Porchlight, students are eligible to take a variety of drop in specific classes offered at our newly renovated facility and taught by master teachers and seasoned professionals. Cards will be held at the office front desk for pick up. Are you music theatre aficionado? A one-time groupie? An I-wish-I-had-the-talent fan? Then our Appreciation events are for you. Explore, discuss and learn with fellow music theatre lovers, under the informative guidance of our experienced theatre professionals. 10% DISCOUNT until February 1! Award-winning Porchlight Music Theatre offers an exciting opportunity for the budding Broadway star. 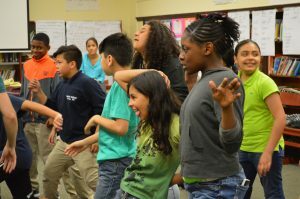 During Porchlight’s two week program, students enter the world of music, drama, dance, writing, and more while practicing teamwork, challenging themselves, and, of course, having tons of fun as they create a BRAND NEW MUSICAL! For 2019 youth classes and programming, check back for details! 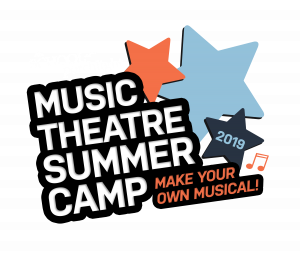 Porchlight Music Theatre is looking for opportunities to partner with grade schools and high schools who would like to expand their current performing arts programming. We have been a staple in the Chicago theatre community for over 20 years, and are excited about our work with youth and in music theatre education. Would you like to offer drama as an in school or after school program? Have you always wanted to have a school or grade wide musical/operetta offered? Does one of your teachers hope to teach a social studies unit like Lin-Manuel Miranda? We can help you with that! 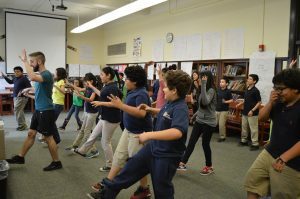 Help your students be the best actors, singers, and dancers they can be! Experience the passion of Chicago’s music theatre and enjoy our productions with your school or community group! The Ruth Page Center for the Arts is wheelchair accessible with convenient restrooms on both the main floor and balcony level. Bus drop-off available directly in front of the theatre. 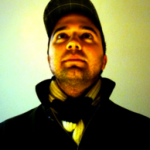 Austin is an award-winning music director and pianist currently residing in Brooklyn, NY. After spending seven years as a music director in Chicago, Austin made the move to New York in 2016. 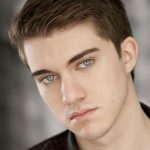 He is now a vocal coach & accompanist in the prestigious graduate acting school of NYU. In addition to music directing productions and new musical workshops in Broadway development, Austin serves as one of the top audition accompanists to the largest hiring agencies in New York City. Before becoming a full-time musical theatre music director. Austin toured the United States & Europe performing as a classical solo pianist and accompanist. In 2009 Austin moved to Chicago where he began his work in musical theatre. In 2011-2013, he toured with the 1st Broadway National Tour of Million Dollar Quartet as the tour musical director. Amanda Compton LoPresti is a singer, dancer, teacher, and choreographer based in Chicago. Her unique training as both a dancer and classical singer has helped her carve a niche in operatic and musical theater houses, both regionally and internationally, with companies such as the Glimmerglass Festival, Hawaii Opera Theatre, Theatre du Capitole (Toulouse), Opera National de Bordeaux, Drury Lane, Theatre at the Center, Chicago Music Theatre Works, and the Chicago Symphony Chorus. 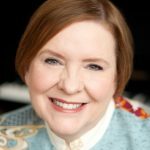 She has been a teaching artist and choreographer with the CSO at IYC-Warrenville for at risk youth, Chicago Opera Theatre, and the Chicago Composer’s Orchestra. She’s a proud graduate of Illinois Wesleyan University, and the University of WI-Madison. Ariane Dolan began her training at the Academy of Movement & Music in Oak Park and began classes at LCDS in 1981. In 1983 she joined Joseph Holmes Chicago Dance Theatre, with whom she performed until 1994, afterward joining the faculty, teaching ballet & Graham technique. 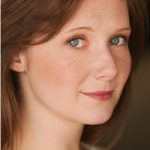 Currently, she is a music theatre performer and has appeared in several musicals throughout the country and has worked in the Chicago area at the Mariott Lincolnshire Theatre, Drury Lane Oakbrook, Drury Lane Evergreen Park, and the Candlelight Dinner Playhouse. She has a BA in theatre from Roosevelt University. Ariane has choreographed for multiple shows at Drury Lane Theatre and Don’t Dress for Dinner at the Royal George Theatre. Ariane received the Ari Zoni Award for best performance in a musical in 1997. 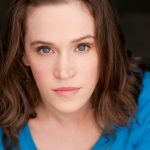 Her film/TV credits include Save the Last Dance (Julia Stile’s ballet double) and PBS’s Love in Four Acts. Annie Jo is a Chicago area performer, educator, and choreographer. She began her training as a child in Fond du Lac, Wisconsin with Riederer School of Dance, dancing on scholarship at various NADAA dance conventions and performing on her high school dance team, and she now holds a BFA in Dance from the University of Wisconsin Milwaukee. AJ has studied on scholarship with the Jump Rhythm Jazz Project of Chicago and performed professionally at The Marriott, Drury Lane, and Paramount, as well as various other suburban community theatres. 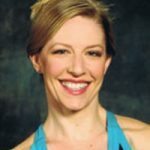 She’s choreographed over 50 musicals on various Chicagoland stages as well as taught various styles of dance at studios, schools, and in master class workshops, specializing in tap, jazz, and musical theatre. AJ considers herself a high energy artist who believes that a bold, polished, engaging finished product is best achieved through a collaborative, committed, and positive environment and process. 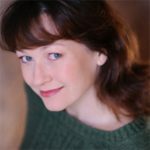 Tammy is a veteran of Chicagoland musical theatre and has won multiple Jeff Awards for her choreography. She teaches master classes and workshops at the college level and was on staff at Columbia College. She is currently on faculty at Lou Conte Dance Studio. Tammy is the creator of the advanced concept “Active Dance,” which is exclusively offered here at The School at Porchlight. Craig began his training in the Fine Arts Academy at Southfield-Lathrup High School and Motor City Dance Factory, and then attended Oakland University as a Merit Scholarship student earning a B.A. in Dance Performance. He has trained with Dayton Contemporary Dance Company, Alonzo King’s LINES Ballet, and the Ailey School summer intensives. Craig was an apprentice for Eisenhower Dance Ensemble, a member of the Michigan Dance Project, Inaside Chicago Dance, Esoteric Dance Project, Dance in the Parks, and Chicago Repertory Ballet. 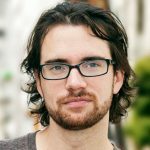 He has performed works by Louis Falco, Amy Marshall, Sean Curran, Robert Moses, Joel Hall, Harrison McEldowney, Autumn Eckman, Alonzo King, Randy Duncan, Monique Haley, and Kristina Isabelle to name a few. As a guest artist, he has performed with the Civic Ballet of Chicago’s production of The Nutcracker and Chicago Dance Crash. Choreography credits include: The Color Purple (Mercury Theater Chicago, Assoc. Choreographer; Broadway World Award-Best Choreography in a Musical), Ain’t Misbehavin’ (Porchlight Music Theater, Asst. Choreographer; Joseph Jefferson Award Winner for Best Production of a musical review), Rent (Artist’s Giving Back World AIDS Day), and Carl Neilsen’s Maskarade (Vox3 Collective, Choreographer). His work has also been presented at Dance Chicago, Dance Chance, and Chicago Freelance Dance. Craig has been training dancers for 14 years, and is a Peffpointe© certified teacher at the 25 hour level. Cameron has been involved in most forms of dance from very young age. He started with tap and jazz and his desire to dive into all techniques grew, from ballet to hip-hop and he eventually became an official competition dancer. Cameron was a member of the Rocky Mountain School of Dance under the direction of Lynne Wagoner-Patton, who is also head of the America’s Got Talent runner-ups, The Silhouettes. Cameron was lucky enough to work with choreographers such as Mark Meismer, Dennis and Dee Caspary, Nick Bowman, Nick Lazzarini and many more. While competing, Cameron received many regional and national titles such as Elite Male Senior Dancer and Best Comedic Dance Performance. 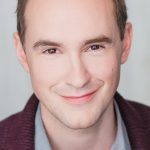 Cameron graduated from Chicago College of Performing Arts at Roosevelt University, earning his BFA in Musical Theatre and where he received dance training from Hubbard Street Dance and Joffrey Ballet instructors as well as with Broadway veterans and Radio City Rockettes. While at school, Cameron found his passion for choreography and the opportunity to choreograph many new, contemporary musical theatre pieces from upcoming Broadway composers Ryan Scott Oliver and Shaina Taub. Once he graduated, he began choreographing regionally with pieces such as the Denver Premier of Spring Awakening and the Midwest Premier of the recent Broadway hit, Lysistrata Jones. Since then, he has been fortunate enough to work as an adjunct tap instructor at Roosevelt University along with performing, directing and choreographing for companies across town. His most recent include: Mary Poppins (Performer – Mercury Theatre), Honky Tonk Angels (Choreographer – Theo Ubique), Xanadu (Performer – American Theatre Co.), 35MM (Director/Choreographer – Circle Theatre), The Boy From Oz (Jeff nomination, Best Choreography – Pride Film & Plays) and The Wild Party (Assistant Choreographer – Bailiwick Chicago).